Kung Hei Fat Choy 恭喜發財!!! Happy and Prosperous year of the Rabbit!!! If you’re planning to celebrate at the Annual Chinatown Luna New Year Parade and Festival this Sunday 6th (details here), you could make it a full day event of fun, food and more food in Chinatown. I guess minus the lion and dragon dances, this could be an itinerary for any day. The festivities start at 11am, plenty of time to fill your tummy first. 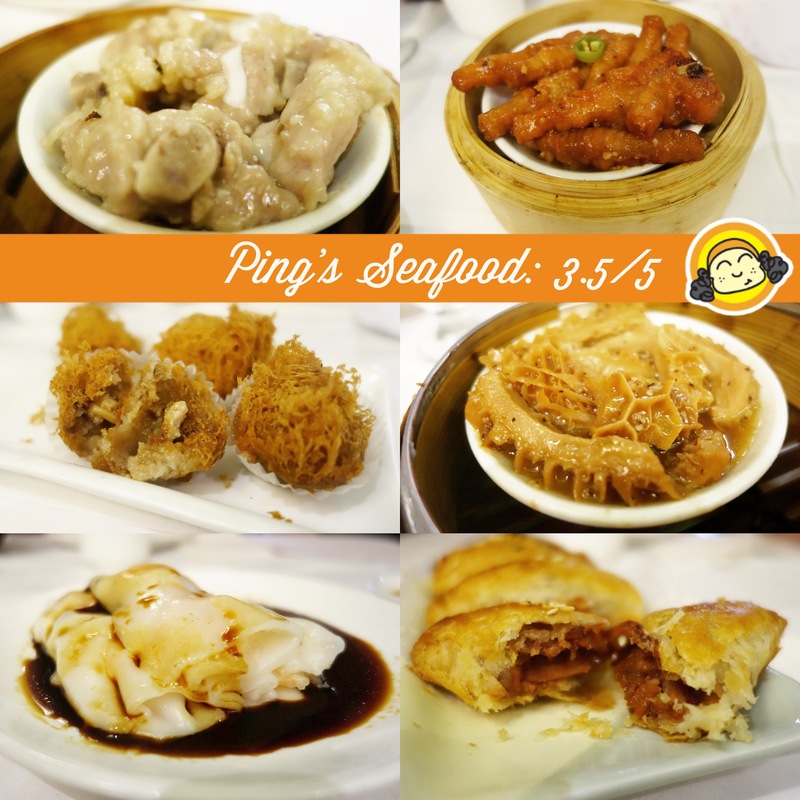 The best dim sum place in Chinatown is Ping’s Restaurant. My all time favorite and to go place for these tasty Hong Kong style “tapas”. It might be a little pricier and everything is smaller, but you honestly get what you pay for. Delicately made, authentic flavors and always consistent. Sad to report, the food just isn’t as good. Though the menu has a few pages, the variety being passed around were very few. I tried ordering from the menu but they didn’t have a lot of the dishes. It just isn’t the same experience. I live by the rule, life’s too short, eat dessert first! 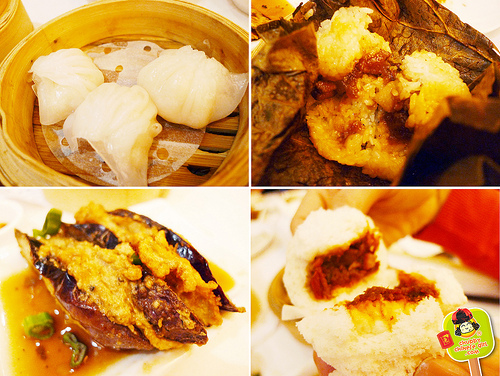 The beauty of dim sum is the fact that you can mix sweet and savory to your own liking. No rules, no specific order, at least not to me, though I always end with Almond Tofu. Melt in your mouth, chilled almond and milk jello topped with can fruits. Sweet and refreshing. 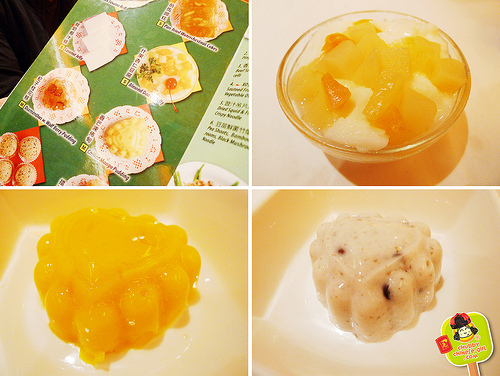 At Ping’s, you can also get a good Red Bean and Coconut Milk Pudding, or Mango Pudding. Both a sweet way to start/end your dim sum galore. 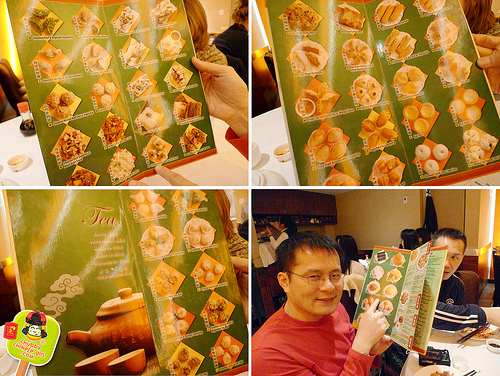 Though the dim sum carts go around and you can pretty much choose by sight, at Ping’s they also have a descriptive menu with lots of pictures! Great if you’re the type who orders what you though looked like pork, only to find out the hard way, they were organs or salty fish. The most staple dishes like Black Bean Spare Ribs, Pork Shumai and Chicken Feet with Black Bean Sauce are done with perfection. I wouldn’t say exactly like eating in Hong Kong, but this is as close as it gets in NYC. Their Har Gow or Shrimp Dumpling is my favorite one in this big city. The wrap is soft, yet chewy and has a nice bounce and pull to them. Fresh shrimp filling makes a hot puffy bite. The Steamed Glutinous Rice & Chicken Wrapped in Lotus Leaf has a great balance of flavor and the right proportion of rice to chicken. Often times, there’s too much rice, therefore bland, but here, the perfect amount of rice soaks up all the juices from the chicken, dried shrimp and mushrooms. Great textures in every chopstick full. These are very filling, so sharing is best. Stuffed Eggplant with Fish Meat is also a must. Juicy and full of umami. Also indulge in light and fluffy CharSiu Baos or Roast Pork Buns. The filling is harmoniously sweet and savory. These are some of my all time favorites. Fried Bean Curd Skin Roll with vegetable. Nice crunchy and chewy wrap, with tofu taste, but a completely different texture, wrapped like a spring roll with sauteed vegetables. 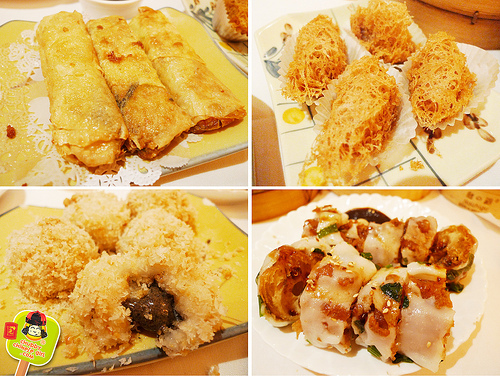 Their Deep Fried Taro Dumpling is also not to be missed. Looks like a bird’s nest on the outside. 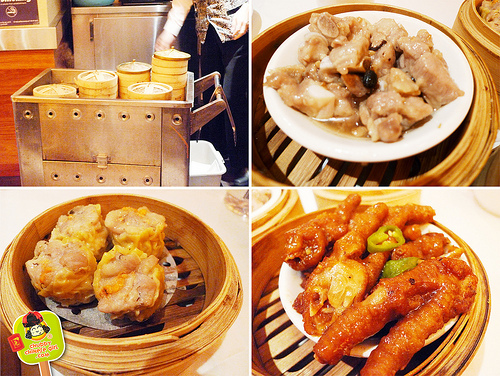 Golden and crunchy, followed by soft taro mash and the center is filled with pork and chinese mushroom. Amazing play of textures. Love it! Their Coconut Mochi with Black Sesame Filling is out of this world. The soft wrap almost melts, while it gives a little bounce, a little chew. Sticky in the best way possible. The black sesame filling just oozes out so fragrantly, plus the coating of toasted coconut adds a nice crunch. I’d eat a whole order myself, but so many more dishes are ahead, so I hold back. Out of all the rice noodles, my pick is their Fried Dough Stick with Rice Noodles. Their rice noodles aren’t your usual plain ones, instead they cleverly add an extra something something with dried shrimp and scallions. Extra texture and great flavors. The soft rice noodles have a good pull and the fried dough is semi crunchy. Along with sweet dipping sauce and you got a mouthful of goodness in the marriage of the steamed and the fried. There’s so much more to choose from, like Pan-fried Turnip Cake, Stir-Fried Sticky Rice, BBQ Pork Crisp (flaky buttery outer shell, crumbles while you dig into the sweet and juicy pork). Rest assure, you can hardly ever go wrong here. Order lots and share with friends, that’s a best start to any a.m. After all these good eats, you’ll be ready to explore Chinatown! 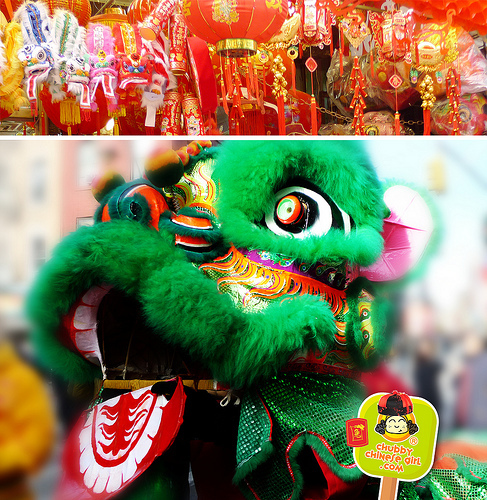 This Sunday, you can go watch the Lion and Dragon Dance on Mott St. with a full and satisfied tummy. If you get thirsty or hungry later on, there’s always UiUi Bubble Tea. You can get a bowl of shaved ice or choose from an array of bubbles teas and light snacks. Don’t feel like tea? Then head down to the Chinatown Ice Cream factory for some lychee, taro, red bean and black sesame ice cream. There’s nothing like singing your heart out with friends. 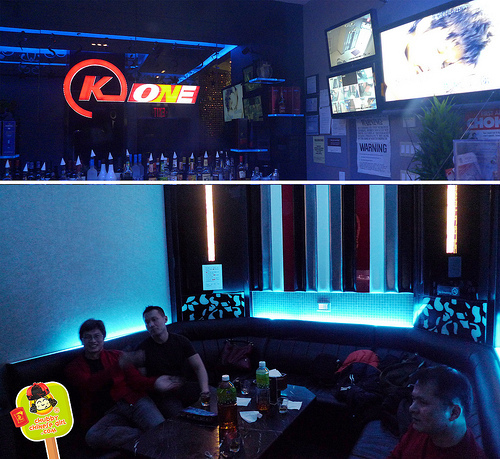 At K-ONE KARAOKE you can get spacious room, afternoon prices are cheaper, so I suggest going before dinner. Plus, depending on the price of the room, you can spend that towards snacks and drinks. If Karaoke really isn’t your thing, sitting at a bubble tea shop or going shopping and exploring Chinatown can be just as fun. And a great way to work out an appetite. End the night with classic Cantonese Cuisine at HOP LEE or go for a satisfying bowl of the best noodles in Chinatown at BO KY. If you’re more into handmade noodles, head to SUPER TASTE for hand pulled or knife shaved bowls of soupy cheap eats at its best. In the late hours if you’re still in Chinatown, don’t forget WO HOP is open late and always ready to fill your tummy. Hope you have an amazingly tasty day in Chinatown. Chinese New Year Celebration or not, this is always a great place to spend the day with amazing food at unbeatable price! I just love Chinese food, whether it's Chinese new year or not. Correct! I am not Chinese, and in fact I have never been to China, but there's just something with Chinese food that I can't resist. and you're right, NY offers a good choices for Chinese food lovers.